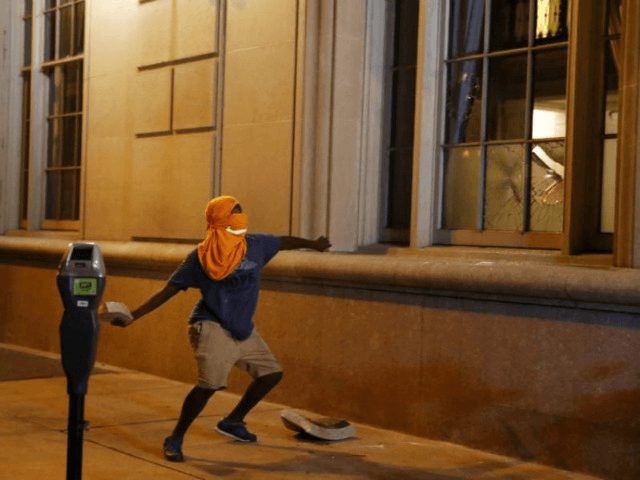 Protesters squared off against cops dressed in riot gear while looters and vandals destroyed storefronts. Police have made more than 80 arrests as of Monday, and several officers had suffered non-life-threatening injuries. The demonstrators have also confronted reporters, such as the group of Black Lives Matter protesters who confronted a KTVI reporter covering the protests on Friday.